The stress that students place on themselves – and that are placed on them – is ever-growing. Exams, assignments, work, financial pressures, social pressures, and/or living away from home add an often unbearable amount of stress and anxiety to even the most well-adjusted and “happy” students, not to mention those who have some form of mental illness. These constant stressors keep students focused on the negative elements in their lives, which has a tendency, even at the best of times, to overshadow the positive. Daily affirmations have become popular as a means of highlighting positive sentiments or re-affirming to oneself all the good that’s in them or surrounding them; however, that can be momentary and it’s often difficult to keep on doing when hectic daily schedules get in the way. The idea of a Happiness Jar was introduced to me by a friend, Jeannie Walters with whom I had dinner this past week. She and her family write down positive experiences and add them to the jar as they happen. The simple idea behind this tool is powerful: Look for, document, and re-visit positive or happy feelings, activities, or happenings every day. In my friend’s case, on New Year’s Day they open the jar and read the notes as a way to remind themselves of all they’re lucky to have and experience. 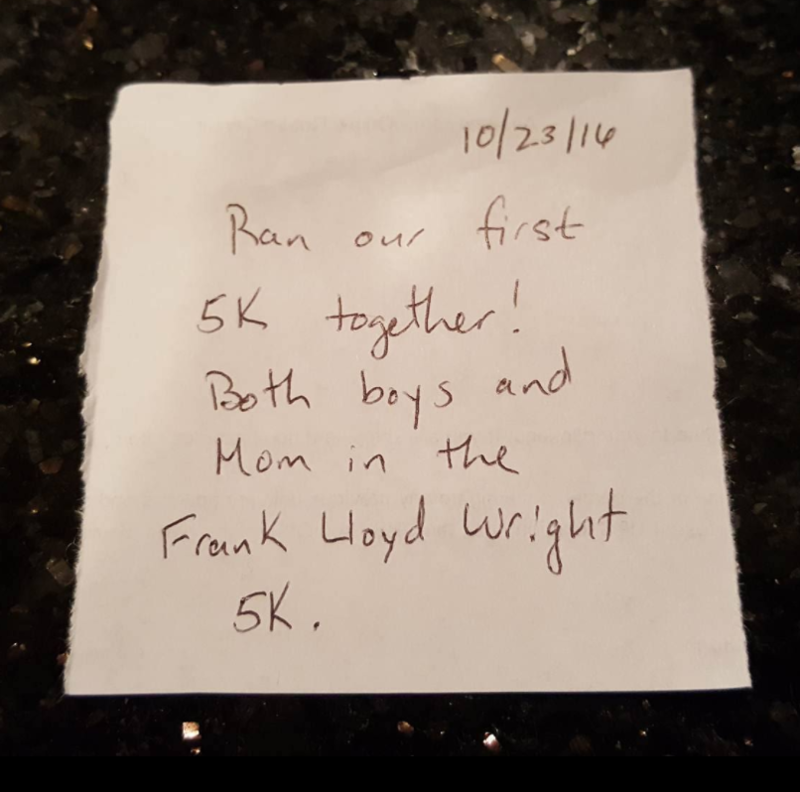 Sample note added to Jeannie’s family Happiness Jar. This sparked an idea in my head: How can this be used for students and their families as a tool to embrace and affirm the positivity that exists in their lives every day? I thought that the mere act of looking at a jar that was filling up with positive experiences daily – even if you didn’t read them – would be a permanent visual reminder of all that IS GOOD in one’s life. And a collection – year by year – that would serve as a great time capsule of life’s positivity in the face of all he negativity we experience. So I did a little research and found that there’s a good case to be made for the net positive effects of such an activity for those who suffer with various mental health concerns. Find a large jar or bowl in your home, ideally something that is clear so that you can see your notes. If you don’t have one get shopping! Place it somewhere in your home in which you’ll see it daily. At some point in your day think about something that made you happy; personally I do this at the end of my day. It can be anything…from a thought you had, to someone who smiled at you, to a kind word said to you, to something beautiful you saw. Write down this thought on a small piece of paper. Fold it and place it in your Happiness Jar. Personally I have a stack of colourful sticky notes that I use for Happiness Jar notes. 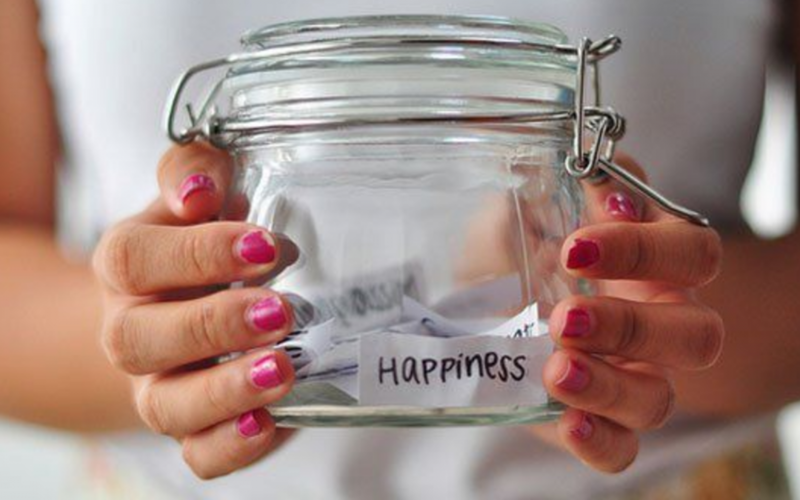 If and when needed, reach into your Happiness Jar and read one or more notes as a pick me up. What I find most appealing about this idea is shared eloquently by Walker, “In my experience, when I look for more happiness in my life, more happiness comes into my life.” The mere act if seeing and using a tool that encourages you to seek positivity, keeps your brain trained on the positive aspects of life that tend to get drowned out by the negative actions of others or the negative thoughts that pop up in our heads. It’s the same reason we started the #YellowIsForHello and the yellow Friendship Bench project in secondary and post-secondary schools: To act as a permanent visual reminder that there are friends, family, and professionals around whom we can speak to when feeling anxious or depressed. Do you have a Happiness Jar? Share your experiences so that we may inspire others. Don’t have one? What do you think of the idea?